Ready right now? To set up the required in-person appointment with Undergraduate Advisor Zach Finch, please email zfinch@uwm.edu. Read on for details about the process and requirements. Ideally, you should declare the major, minor, or certificate as soon as possible, so as to take advantage of departmental advising in planning the best sequence of upper-level courses. The first step is to contact the Academic Advisor for the Film Studies Program, Zach Finch, preferably via email (zfinch@uwm.edu). You should schedule a meeting, and the Academic Advisor will be able to answer your preliminary questions about the major or minor or Business of Media and Film Studies Certificate. You, in turn, will be asked about your background, your current interests, and your long-range plans in order to assist with selecting classes. The Minor in Film Studies consists of 18 credits. All students are required to take Film Studies/Art History 205 or 206, and Film Studies/English 290. Students must also select one course at the 200-level. 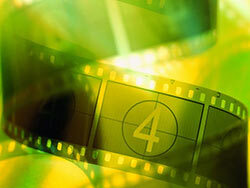 In addition, a minimum of 9 credits in Film Studies courses numbered 300 and above. There are no requirements or minimum GPAs for declaring a major or minor. The certificate requires the completion of 18 to 19 credits, with a minimum grade point average of 2.50. At least 15 of the credits must be completed at UWM, and at least 9 of the credits taken at UWM must be at the 300-level or higher. Once you have declared your Film Studies major, you will have access to two different advisors: your L&S college advisor, and your major advisor, who will help you plan a coherent array of courses within the major and generally act as a mentor to you. You should plan to meet with your advisor once a semester, before registering for classes, to talk over your progress in the major and your plans for future classes. Contact Zach Finch (Curtin 472, zfinch@uwm.edu, 414-507-1405). First see what courses you need to fulfill specific requirements and which of those are being offered in the upcoming semester. Then, go to the online schedule and check what courses will be offered. The course descriptions attached to the classes on the UWM Schedule web site should help you to refine your choices by telling you what texts will be covered, what the main issues of the course are likely to be, how many papers and exams will be expected of you, how grades will be determined, and so on. Next, talk over those choices with your major advisor to get feedback. Remember to do all this early enough so as not to be closed out of any courses you may want or need. Meet with us in-person, over the phone, or via Skype to learn more about the Film Studies Program. We can even arrange a class visit to give you a taste of UWM life.